FOXBOROUGH, Mass. 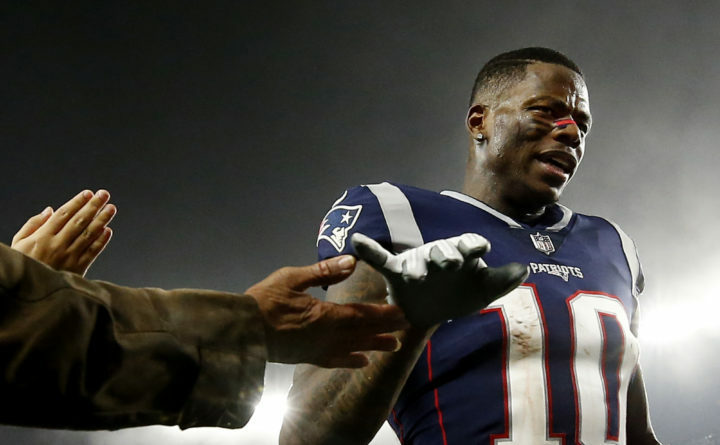 — New England Patriots wide receiver Josh Gordon was suspended indefinitely Thursday by the NFL for violating an agreement that allowed him to play after multiple drug suspensions, casting doubt on whether the talented but troubled playmaker would ever play in the league again. League officials said Thursday that Gordon was returned to the reserve/commissioner suspended list indefinitely for breaking the terms of his reinstatement under the NFL substance abuse policy. The news came several hours after Gordon said he was stepping away from football to focus on his mental health. Gordon said on Twitter his decision was spurred by his own feelings that he could have a better grasp on things mentally. He thanked the Patriots for their support and vowed to work his way back. “We support Josh Gordon in his continued efforts to focus on his health. His attempt to do so is a private and personal matter, which we intend to respect,” Patriots team officials said. Gordon has been suspended several times by the NFL for violations of its drug policies since being drafted by the Browns in 2012, and missed the entire 2015 and 2016 seasons. After being reinstated by NFL Commissioner Roger Goodell in 2017, Gordon revealed in an interview with GQ magazine that he drank or used marijuana before games. “Probably every game of my career,” he said. Gordon also said in a 2017 mini-documentary on Uninterreupted.com that he took Xanax, cocaine, marijuana and other narcotics. Gordon’s outlook had improved with New England, where he landed in September in a trade after the Browns felt it was time to cut ties. He had 40 receptions for 720 yards and three touchdowns with the Patriots, five years removed from an All-Pro season in 2013 with 87 catches for 1,646 yards and nine touchdowns. New England officials had insulated Gordon and focused him on getting acclimated to the team’s highly-disciplined culture, while also limiting his time with reporters. Coach Bill Belichick said last week that Gordon was thriving on the field, developing chemistry with quarterback Tom Brady and learning the offensive system. “As we go through each week, I would say we’ve gained a little more ground on the overall knowledge of the system,” he said.